Make no mistake about it, Pillar is not the rock 'n' roll of yesterday, but the forward moving revolution of today and tomorrow. January 1998, Beckley started the group in Hays, Kansas. Later that year, he met Kalel and asked him to join up on bass. Despite the early stage of their career, the members of Pillar were so diligent in playing shows and setting up tours that they were doing the band full-time even without a record label. Desiring to be more centrally located for their tours, the group even relocated to Tulsa, Oklahoma. About the same time, Pillar sent out music to independent radio promoters in hopes of hiring one to work their singles, and one such promoter passed the music along to Flicker Records, who promptly signed the band. Their zealous passion incinerates today's gimmicky knockoffs, leaving pretenders in a dust storm of reckless rock upheaval. The group's previous album, 2002's Fireproof, couldn't be held back, selling over 300,000 copies with unyielding momentum. Ready to roll into overdrive, Pillar returns with Where Do We Go From Here, a career album that meets the challenges of a band ready for primetime. 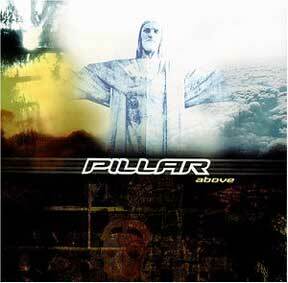 Releasing Above in 2001, Pillar quickly made a name at radio, earned a Dove Award for Hard Music Album of the Year, and significantly elevated their profile on the club circuit. Noah then took over the six-string duties just in time to record 2002's Fireproof, the band's definitive breakthrough album. In addition to headlining the 35-city "Underground Uprising." 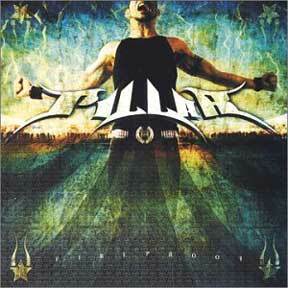 Tour in 2003, Pillar also shared stages with the likes of Korn, Evanescence, Sevendust, Mudvayne, Life of Agony, Chevelle, and Powerman 5000. Fireproof, which eventually picked up wider distribution through MCA Records, earned two Dove Awards itself and topped R&R's CBA Rock chart with the title track and "Echelon." The album also helped the band earn considerable press attention, including coverage in Rolling Stone, Spin, Hit Parader, and on the covers of Rockline, Breakaway, HM, and R&R Magazine. During all this frenzy over Fireproof, Pillar also picked up Lester Estelle as the new drummer, an addition the other members describe as elevating the band to a whole new level. Surprisingly, when sales of Fireproof started to spike early, the group found itself coming under intense outside scrutiny over everything from their proactive lyrical slant to their overall approach as a band. 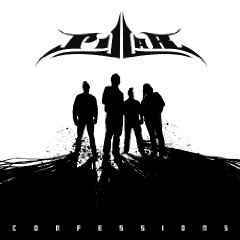 Despite the push and pull, Pillar remained unpersuaded to conform and wrote this album in response. 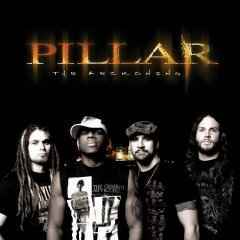 The members of Pillar - featuring vocalist Rob Beckley, bassist Kalel, guitarist Noah Henson, and drummer Lester Estelle - bleed boldness on "Bring Me Down," a defiant song rich in spirited energy and striking dynamics that accentuate a sharp lyrical lashing. "Underneath It All" likewise faces up with gritty guitars and hard-hitting rhythms that build toward a crisp and confident chorus. Even when they lessen the wattage, such as with "Simply" and "Rewind," Pillar finds power in the passion and conviction of their performances. With each song, Where Do We Go From Here, their fourth album for Flicker Records, epitomizes a selective musical approach in which only the best parts are kept for maximum impact. From "Hypnotized" to "Aftershock," the resulting songs burst with sweeping tempo shifts, relentless melodies, and a resolute, stand-tall attitude. Pillar, who immediately set out on the "See Spot Rock" Tour upon completing the new album, will play the main summer festivals before heading out on their own headlining club tour in the fall. 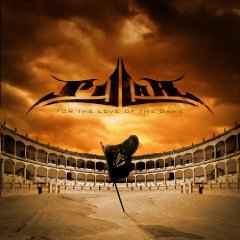 Clearly amped about the new album, Pillar has full faith that the songs will deliver a powerful, positive impact while igniting a musical spark of creative defiance. "The album's theme deals with being pulled at from different directions, and the people who always tell you who to be and what to do," says Beckley, whose band co-produced the album with longtime collaborator Travis Wyrick. "This record is a direct reflection of all the challenges we face. It affected me. It affected all of us." Though inspired by against-the-grain attitudes, the band put many of the songs into a universal context so more people could relate. For example, the song "Bring Me Down" addresses anything and anyone that tries to hold a person back. The song's music video, shot at the Tennessee State Prison perfectly captures the wider context by showing a host of problems, afflictions, and pressures under which people crumble. The new album also addresses several societal issues, from the hidden addiction of "Dirty Little Secrets" to love's uniting strength in "Simply." Beckley, whose father is currently stationed in the Middle East through 2005, even tackles warfare in the militant "Frontline." A former army man himself, Beckley actually started Pillar not long after finishing his own term of service. 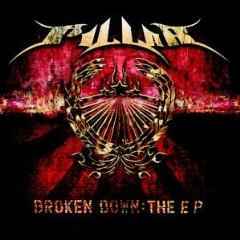 Ever pushing forward, Pillar gave fair warning with "Fireproof", and now they're bringing it all down with "Where Do We Go From Here".